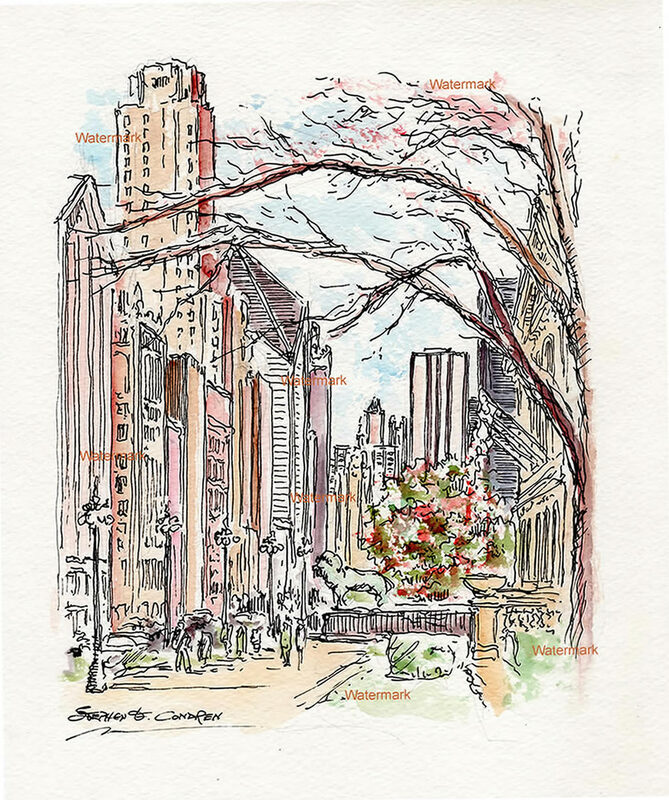 City scenes art #127Y and prints • Condren Galleries Ltd.
City scenes art #127Y are metropolitan cityscapes with JPEG & PDF scans and prints by artist Stephen F. Condren, BFA-SAIC, at Condren Galleries, a Fine Arts Gallery, with low discount prices and that are on sale, at cheap cost. 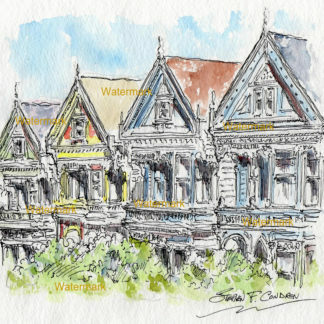 Because city scenes are great, their prints are great! 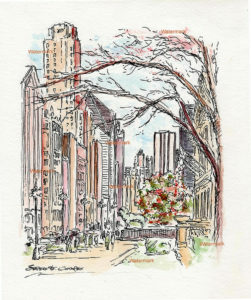 Watercolor painting of downtown Chicago at Michigan Avenue in front of the Art Institute lions by artist Stephen F. Condren for Condren Galleries home page.